The brand new ‘American Flex’ is our new Smooth shoe for 2015/16. 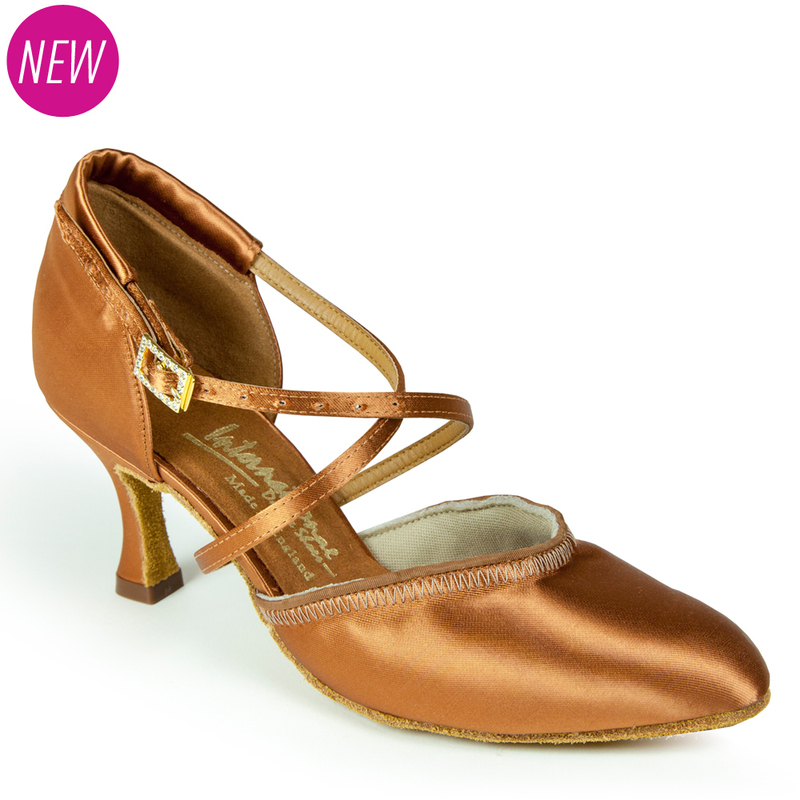 This shoe has been carefully developed by working closely with vendors and Smooth dancers over in the USA. Over the past year we&apos;ve worked hard to create a super lightweight and flexible Smooth shoe that gives greater freedom for the foot in the Smooth dances. The shoe is made with an elasticated vamp which is designed to hug and hold the foot in, and its new sponge based lining allows for an enhanced and unrivalled level of comfort. Also, a new back design comes further round the foot and the positioning of the straps allow for the shoe to fit the narrower and wider heel. The shoe is available here in Tan Satin, and you can also click here to view the Flesh Satin version. Like everything we do, this style is available on a variety of different heels and in a range of widths. This design is &apos;Made to Order&apos; and will ship within 5-7 working days.